This volume is the speedy outcome of a major international conference on Hellenistic biography convened by the editors and hosted at the University of Würzburg's Institute for Classical Philology in July 2006. 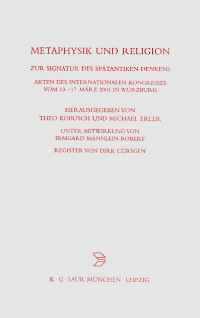 In the Forward, Schorn and Erler explain that this project is motivated by two principal considerations: on the one hand recent decades have witnessed intense (and intensifying) interest in ancient biography, while on the other this new research has uncovered certain major fault lines in the paradigms and parameters for study of the subject so authoritatively set by its first great modern scholars. While, for example, Leo's foundational and agenda-setting Die griechische-römische Biographie nach ihrer literrarischen Form (1901) has yet to be superseded, subsequent findings have disproven or rattled a number of its claims: for example, it is no longer satisfactory (as a number of these essays demonstrate) to think in terms of a rigid dichotomy between 'Peripatetic' and 'Alexandrian' biography. The contributions to this volume thus represent (and further prove the need for) new approaches to the study of ancient life writing, particularly with respect to questions of its emergence, practice, influence, and generic classification - and hardly a 'giant' of ancient biographical scholarship (Diels, Jacoby, Momigliano ...) emerges unscathed. Such a book is particularly welcome in that it represents the only collection of essays devoted to the mid-fourth century and the Hellenistic period, the heady first centuries of genuine life writing in antiquity. Its 21 chapters (13 in German, the rest divided between Italian and English) are arranged into five sections: I. Vorformen und Anfänge; II. Themen und Arbeitsweise; III. Einzelne Biographien; IV. Biographische Traditionen über einzelne Personen; V. Beziehungen zu anderen Gattungen und Rezeption. About half of the contributions deal directly with biographies of people who might loosely be termed philosophers, though tyrants, poets, and even mathematicians do receive a share of the spotlight. Aspasia and Nossis are the only female (auto)biographical subjects to receive substantial treatment. The first section begins with a piece by Zimmermann on the role of personal reflection in autobiography, with a focus on two (decidedly non-Hellenistic) texts, the Odyssey and Augustine's Confessions. More than anything this brief essay sensitizes the reader to the themes of fact-fiction fluidity and fragility that will recur in many of the subsequent contributions. 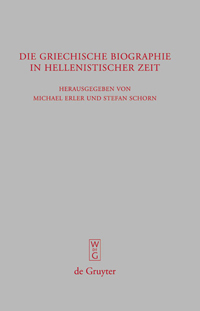 Erler and Reichel's chapters (on biographical elements in Plato and Xenophon as a biographer, respectively) both introduce the pre-Hellenistic variety of uses of biographical material and the different types of philosophical, historical, and rhetorical ends to which it could be deployed. Fortenbaugh, in an essay whose structural rationale is not entirely clear, discusses the interest that members of the Peripatos as well as Menander and Polybius had in personality and temperament (though surprisingly there is next to no discussion of Theophrastus' Characters). He ultimately maintains (with Momigliano) that we need not see a direct connection between this interest and Hellenistic biography, whose first real Peripatetic practitioner would have been Aristoxenus. 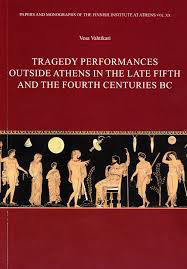 In the next section, Arrighetti explores in dense detail approaches to biographical anecdotes since the 19th century, and offers a compelling reading of the Contest of Homer and Hesiod as an extended anecdote. 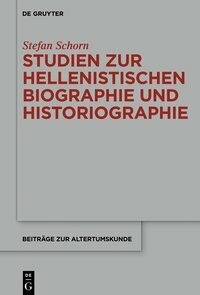 For its historical and methodological insights this piece will prove of great service to students of Greek biography, where anecdotes feature so prominently - though it does also close with a tantalizing glimpse at biographical traditions that are remarkable precisely for their lack of anecdotal material. Lefkowitz's chapter on the tradition of philosophers' visits to Egypt is then a study in ideological applications of anecdote: she makes a convincing argument as to the cultural claims at stake in a particular and particularly tendentious branch of anecdotal tradition. The next two sections consist in detailed studies of both individual biographies and biographical traditions for certain individuals. 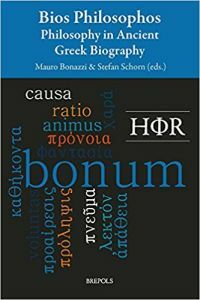 Of immense value in the first of these parts are Auricchio's dazzlingly comprehensive review of scholarship since 1994 on biographical texts from Herculaneum and Schorn's thorough reappraisal of the fragments of Neanthes of Cyzicus, the largely overlooked author of the earliest known work Πεϱὶ ἐνδόξων ἀνδϱῶν. Schorn's proposal to view the recently re-dated Neanthes within a tradition of 'periegetic' biography is particularly persuasive. Engels likewise re-evaluates what we know about Hippobotus, a Hellenistic author of a treatise On sects and a Register of Philosophers, and an important source for Diogenes Laertius. Dorandi provides a promising sample of his forthcoming new edition of Diogenes' Lives of the Philosophers, in a piece that presents an edition of and commentary upon the eight secure fragments of the Πεϱὶ παλαιᾶς τϱυφῆς attributed to Aristippus (all of them culled from Diogenes Laertius). Finally, Staab makes a careful argument that the source 'Apollonios' cited by Porphyry and Iamblichus in their treatments of the life of Pythagoras should be identified with Apollonios Molon, a Hellenistic litterateur, rather than with the wonderworker from Tyana. The five essays on the biographical traditions surrounding individuals treat testimonia for the lives and Lives of Socrates, Philolaus, Protagoras, Aspasia, and Archimedes. Brisson's is a study of the transformation over time of the Pythagorean figure Philolaus (from the victim of Plato's plagiarism to a significant source of his inspiration) while Corradi's paper, which examines rather the transformation and evolution of certain anecdotes, proposes an extremely clever theory as to the origin of the ancient story about Protagoras' prosecution for ἀσέβεια. Döring analyses the (melancholic) figure of Socrates in a small handful of Aristotelian fragments, and is able to connect these with Aristoxenus' portrayal of Socrates. Tulli explores the possibility that Imperial biographical sources for Aspasia derive from a (hypothetical) Alexandrian treatise On Courtesans, while Geus discusses the pair of testimonia to a Vita of Archimedes, which appear in the 5th-6th century AD Byzantine author Eutocius of Ascalon. Particularly interesting is Geus' discussion of why so little biographical evidence for mathematicians survives, given the popularity of traditions for other types of intellectuals. The last section of the book consists in chapters on Hellenistic biography's relationship with other genres and its 'Reception' (perhaps not the best word). These essays afford glimpses at ways in which work on Hellenistic biography may also have a payoff for other areas of study. Scholz, for example, compares Hellenistic autobiography and autobiographies of Roman nobiles, attributing the differences in these works to the milieus within which they circulated and the purposes for which they were written (I am not certain that one needs to call this a difference of habitus); of particular use is his collection of evidence for autobiographical writings by Roman aristocrats. Männlein-Robert discusses a very different sort of autobiography - self-epitaphs by Hellenistic poets - arguing that these epigrams serve as sites of programmatic poetic self-representation, aimed in part at steering the poet's reception. In an absorbing piece on the figure of Paul in the Acts of the Apostles, Heininger claims that Luke portrays Paul as a Θεῖος ἀνήϱ, and arranged his Gospel and the Acts as a double set of parallel lives (Jesus and John the Baptist in the Gospel; Paul and Peter in Acts). Schepens' rich contribution on the relationship between biography and historiography in the Hellenistic period begins with a fascinating account of Jacoby's decision to group biography with antiquarian writings in Part 4 of Die Fragmente der Griechischen Historiker. He then goes on to make a compelling case as to why biography should be counted as a form of historiographic discourse, rejecting Momigliano's strict separation of biography from (political) history-writing. Because this chapter has so many methodological implications, it may have been better served by a more programmatic position at the beginning of the volume. Similarly, given that many of the contributions rely upon (and criticise and re-evaluate) biographical testimonia provided by Diogenes Laertius, Mejer's piece 'Biography and Doxography: Four Crucial Questions raised by Diogenes Laertius' may have made more sense as an opening sally than it does as the last word. Because a number of the volume's chapters overlap (on the tradition for Pythagoras, the usefulness of anecdotes, the reliability of Diogenes Laertius as a source ...) it is a shame that we find so few cross-references between the essays; an index rerum would also have made the book easier to consult on recurring topics and would have granted a stronger sense of cohesion (there are indices locorum and nominum). These features, along with the lack of a combined bibliography, suggest that the essays will be consulted individually and not viewed as parts of a bigger project with a broader scope. 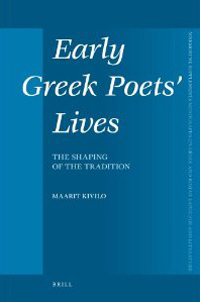 Finally, given that a number of the contributors suggest that the discovery of Satyrus' Life of Euripides has dramatically altered our sense of Hellenistic biography, it seems a missed opportunity not to have included a chapter devoted either to this specific work or to Satyrus' biographical œuvre. Taken together, however, the 21 chapters suggest a good idea of the range of evidence for Hellenistic biography, the questions this evidence raises, and the consequences of its interpretation for our study of other corners of antiquity. In the Forward the editors cite the growing need for a history of Hellenistic biography and a consideration of its position in relation to other contemporary literary forms; they also express the hope that the present volume will allow for such a history to be written. It will certainly help.